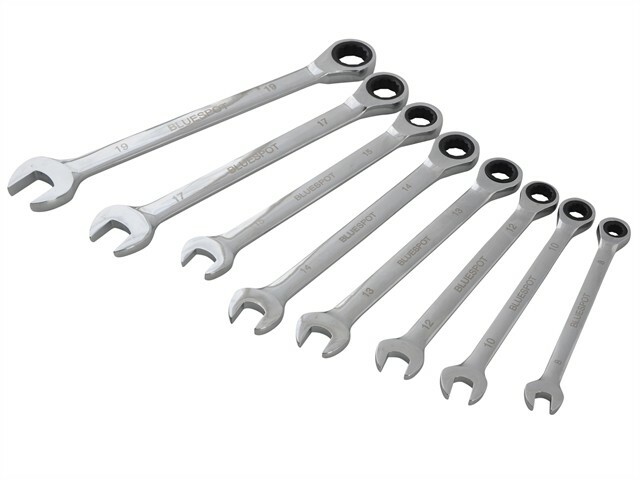 This Blue Spot set contains 8 Metric Ratchet Spanners which are made from Chrome Vanadium Steel. They have small, 8° ratcheting action, allowing them to be used in awkward or confined spaces where standard spanners may struggle. 8, 10, 12, 13, 14, 15, 17 and 19mm.